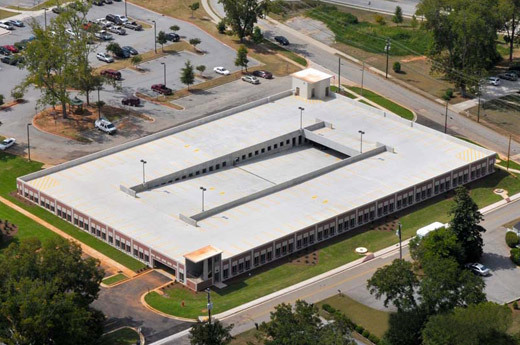 The Henry County Parking Deck is a two-story precast concrete parking deck positioned to service the Henry County Judicial Center. The deck includes 296 parking spaces with a two-stair tower and one elevator. The deck will feature a thin brick façade cast into precast concrete to compliment and match the Judicial Center. The foundations and precast structures have been designed to allow a third parking level to be added to the structure in the future.